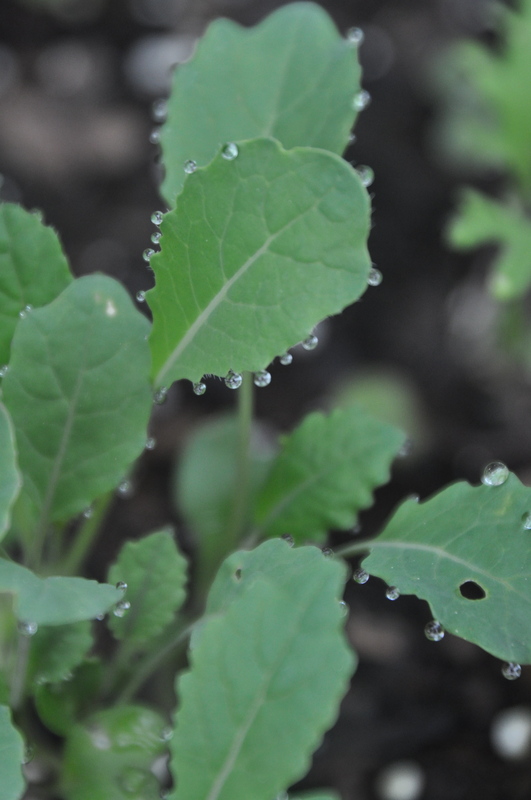 Raindrops clinging to baby kale. Categories: Uncategorized | Tags: Baby Kale, Raindrops | Permalink. Nancy McKibben, who is writing about us for Edible Columbus‘s summer issue requested a list of what we’re growing this year. We thought our CSA members and others might also be interested. Since we are treating this like a community kitchen garden, you’ll notice that we have a pretty wide range of things. In the future, we might limit this somewhat depending on what does best and to build on market demand. We made selections based on descriptions of taste and color, pest and disease resistance, and our research on varieties that do well in vertical growing situations. Here’s what’s coming up in 2014! 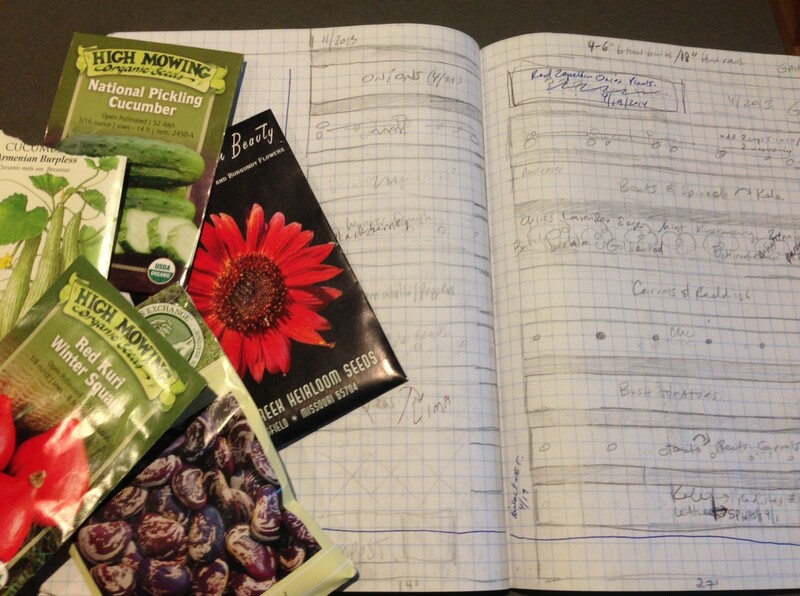 Categories: Uncategorized | Tags: Edible Columbus, Garden Planning, Nancy McKibben | Permalink. My Oh My, What a Wonderful (Work) Day! I’m too tired to write. You can see for yourself just why. Categories: Uncategorized | Tags: Apple Trees, Coffee Bag Garden Paths, Drip Irrigation, Establishing Garden Beds, Farm Chores, Gardening with Children, Home Orchard, Intergenerational Gardening, Kids in the Garden, Planting Peas, Straw Paths, Tilling | Permalink. Cora and I skipped town for a few days before the farm is really up and running for the season. 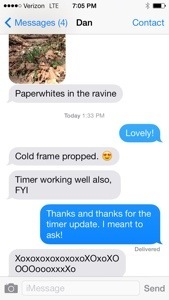 Dan’s taking care of things while we’re away. Naturally, he’s doing great. Still, it’s hard being away. I’m wondering how the seedlings Cora and I transplanted are doing and which seeds are germinating. I’m wishing I had my hands in the soil, though the sand feels pretty good between my toes. We’ll be back soon enough. The apple trees will have (finally) arrived. The compost will still be sitting in the driveway waiting to be moved. The honeysuckle will be begging to be pulled up. The compost bin will be crying to be built. The list of chores will get longer everyday, and it will all be beautiful. Categories: Uncategorized | Tags: Away from home, Farming from Afar, Taking a Break | Permalink.